Welcome to the 15th YA Scavenger Hunt! Hello! I am Heather Petty, your hostess for this leg of the hunt. I wrote a series about a teen female Moriarty going to school and solving mysteries with a teen Sherlock Holmes. I’m addicted to Korean dramas and variety shows. I have way too many cats. 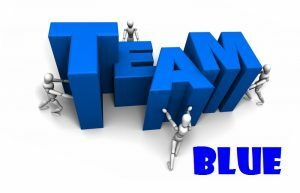 You are currently hunting on TEAM BLUE. If you want to see my exclusive content, you’ll need to keep hunting! Somewhere on this blog hop, I’ve hidden my playlist for my latest book, Lock & Mori: FINAL FALL. But before you go looking for that, check out the amazing author I’m hosting below. HINT: THE SECRET NUMBER IS HIGHLIGHTED IN BLUE! ENTRY FORM: Once you’ve added up all the numbers, make sure you fill out this form to officially qualify for the grand prize. Only entries that have the correct number will qualify. RULES: Open internationally, anyone below the age of 18 should have a parent or guardian’s permission to enter. To be eligible for the grand prize, you must submit the completed entry form by SUNDAY, October 8th, at noon Pacific Time. Entries sent without the correct number or without contact information will not be considered. On this hunt, you not only get access to exclusive content from each participating YA author, you also get a secret number. Add up the numbers, and enter it for a chance to win a major prize–one lucky winner will receive at least one book from each author on my team in the hunt! But play fast. This contest (and all the exclusive bonus material) will only be online until noon PST on Sunday, October 8th! There are SEVEN contests going on simultaneously as well as a bonus contest and you can enter one or all! I am a part of the BLUE TEAM but there is also a RED TEAM, PINK TEAM, PURPLE TEAM, GREEN TEAM, ORANGE TEAM, & GOLD TEAM! Check out each team for a chance to win SEVEN different sets of signed books! 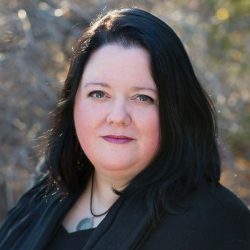 Bestselling author T. Rae Mitchell is an incurable fantasy junkie who loves playing make-believe whenever possible. 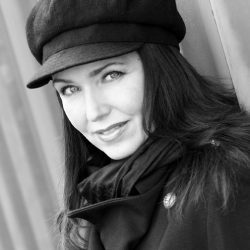 She is best known for her young adult fantasy, Fate’s Fables, which can be found on numerous Amazon Top 100 Best Seller lists, such as Coming of Age Fantasy and Fairy Tales & Folklore. 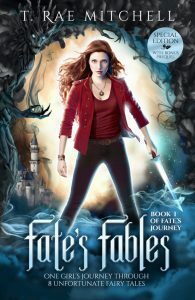 The book she is showcasing is FATE’S FABLES SPECIAL EDITION: ONE GIRL’S JOURNEY THROUGH 8 UNFORTUNATE FAIRY TALES. Fate Floyd is trapped within a darkly enchanted fairy tale world bound by the Book of Fables. Her only means of escape is to travel through the book’s eight unfortunate fairy tales and change them into happily-ever-afters. Can she survive and make it all the way to the book’s bitter end to create her own happy ending with the boy of her dreams? Perfect for fans of The Lunar Chronicles and A Court of Thorns and Roses. Right here, right now, you can read an exclusive first chapter sneak peek of her upcoming release. You can buy her book HERE! Check out more on her Website, Twitter, or Facebook page. Thank you so much for visiting my website! 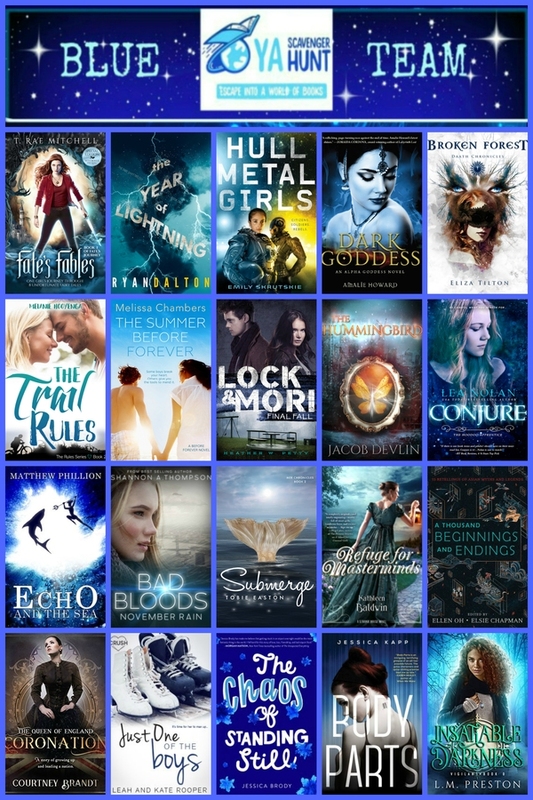 While you’re here don’t forget to enter the bonus contest I am running exclusively during the YA Scavenger Hunt. Just comment below and I’ll select 4 winners (not 44, just the 4) at random! DON’T FORGET TO COMMENT BELOW SO YOU CAN WIN! To continue on the hunt, check out author ANN BENJAMIN! Previous PostAnnouncement: Editorial ServicesNext PostLOCK & MORI: FINAL FALL PAPERBACK RELEASE! Thank you for the giveaway! BTW the lipstick color in the photo looks great on you! <3 we are all so excited for this year's YASH! I adore Loki & Mori! You’re awesome for doing a giveaway! Fate’s Fables sounds like it would be an interesting read. I wonder which ones she has to change. It does look amazing, right? Thanks for the generous giveaway to one of you fans! I can’t wait to read your series, especially now that I can read one after the other! Mysteries are my favorite and I love the twist on Sherlock. I’m glad I caught the scavenger hunt on day 1 this year! Thanks for the giveaway! I really want to check out this series! It’s my first YASH so I am very excited! What a great way to find new books and authors! Awesome giveaway. I love reading and winning books. I love YASH, and Lock & Mori looks great!! Can’t wait to try out the teen Moriarty & Sherlock series (Lock & Mori is a great name c:), that sounds like a brilliant twist on the classic! Thanks for hosting! Party on, Wayne! Thanks for participating in YASH! Thank you for the extra giveaway. I love YASH. You find so many new authors! Can’t wait put the series on my TBR!! My list keeps on getting bigger!! Thanks for a great stop! Thank you for the giveaway opportunity! Thank you for participating in YASH and for a generous giveaway!! Love this contest! Thanks for your amazing giveaway – I would love to win! This is my first time participating in the YA Scavenger Hunt and I’m loving that I’m finding all these new books I want to read. I’m loving the hunt. This is my 3rd. Thank you. this is my first YASH and i’m having tons of fun! Thank you for the opportunity to win Lock & Mori. I have been dying to read your books since I found out about them a few weeks ago. This is the first time I’ve heard of your series, but it sounds awesome! This is why YASH is so great for me. Thank you for the giveaway! This sounds like a fun twist on a classic. It is now on my TBR list and I can’t wait to read! I love mysteries and Lock & Mori sound really interesting! Solving puzzles gives me the biggest adrenaline rush! I can’t wait to read these amazing books! Thank you for hostessing a giveaway… I just love YA books!! Thank you for the chance at a giveaway! I am having so much fun on this YASH and really hope to win this book especially! I’m super hyped because this is my first YASH Scavenger Hunt. Thank you and Colleen Houck for creating this wonderful opportunity! I agree. Colleen really created something special! Thanks for participating in YASH!!!! I really look forward to these as I love finding new-to-me authors!! Thank you for participating in this YASH! And I have SO MANY recs. I'm on mydramalist as heatherwpetty, if you ever want to see my 10-star dramas. I am always so excited for YASH. Thank you for the giveaway! I love Yash! Thank you for joining! Thanks for participating in YASH and the bonus giveaway! This isn’t my first time ping YASH! Thanks a lot for the chance to win. Wow!! such a great giveaway! I would love to win! I love participating in YASH, I always find new books to add to my reading list! Oh and thank you for the giveaway! I always love participating in YASH! Thank you for the giveaway! Thanks for the giveaway and for participating in YASH! Thanks for participating in the scavenger hunt and offering this give away! I love finding new authors and books to explore. Hope I win! Thanks for participating. I love Sherlock Holmes. I actually like to read your book. I’m wondering what would it be like for teen Sherlock and Moriarty. Thanks for another a chance to win! Really enjoying YASH so far. It’s great to find so many new authors to follow. Thanks for the giveaway! Your books look amazing! YASH is my fave biannual event and I’m so glad you’re participating! I think your books would be a good addition to the class library. I’m a big fantasy reader but not all my students are into my genre, lol! Thanks for the chance! Yay for YASH! I can’t wait to find out who the winners will be this year! Thanks for the giveaway. So many good books out this spring. Yay! Thanks for the chance! I’ve been wanting to read Lock & Mori! Thanks for participating in YASH! Your books sound really interesting, and I can’t wait to read them! Thanks for the giveaway and even more for participating is YASH! Omg I love the idea of your series! Have you watched Sherlock the tv show? It’s pretty good too, although I don’t know how it would stack up against your books. I would LOVE (obviously or I wouldn’t be commenting this) to win your giveaway, but just participating in YASH has been an amazing reward unto itself already. Thanks! I love all things Sherlock Holmes related- thank you for this giveaway! Awesome giveaway. Hope I get lucky! Thanks so much for doing a bonus giveaway! thanks so much for participating in yash! So much fun!! Thanks for the chance. Thanks for the giveaway, first time participating. Having fun! I love YASH!!! Thank you for the bonus giveaway. Thanks for participating in the hunt ! I’m having so much fun! thank you for the extra contest! I love YASH, it’s such a fun time! Thank you for hosting a giveaway! Thank you for being part of the YASH Spring blog hop! And thank you for the giveaway! Oooo…on the Sherlock Holmes like mysteries! And what is your favorite K drama? I haven’t seen a lot, but I really like Princess Hours! Thank you for taking part in YASH! Your Lock and Mori series is great! PS. I am hoping for the Trilogy. "👇🏻 This thread is amazing 🖤 https://t.co/8iXaclleMb"
"There are like four people in my timeline this morning bragging about finishing their books, and I’m super happy fo… https://t.co/CDbVOLEOkX"
"Is this not how everyone lives? https://t.co/dVTQtQbEe8"